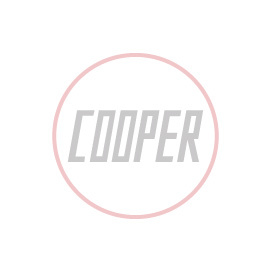 John Cooper conversions are renown the world over for quality and reliability. Our retro conversions are available for all Cooper models from 1997 onwards. All conversions are thoroughly tried and tested and will enhance the Mini Cooper driving experience. This engine kit increases power output to 90bhp and available as a supply and fit kit only. This kit includes larger valve, ported S stage cylinder head, high performance exhaust, improved fuelling and induction plus many more features. Available for all 1275cc Multi Point Injection Minis, from 1997 to 2001. We also offer a full conversion fitting service - please contact us for pricing. John Cooper conversions are renown the world over for quality and reliability. Our retro conversions are available for all Cooper models from 1997 onwards. All conversions are thoroughly tried and tested and will enhance the Mini Cooper driving experience. This engine kit increases power output to 85bhp and is available as supply only with the option of having it professionally fitted by us. TThis kit includes a larger valve, ported cylinder head, high performance exhaust, improved fuelling and induction plus many more features.